Good news for Yourbrowser.is fans – A shiny new PRO account! It feels great when you find a tool that excels in its task and matches your expectations perfectly. And when something even cooler is offered by it, you feel virtually on top of the moon. The dedicated user-base of Yourbrowser.is (previously reviewed here) has come to love it for its utility and ease of use. And now they have more reason to rejoice. The makers of Yourbrowser.is have launched a shiny new PRO account that will offer its users unique additional features to further enhance their experience at a very nominal price. Check out the description of these features here and be amazed! Before moving on to a description of the new features, let’s take a brief look at Yourbrowser.is (this is especially beneficial for those who’ve not used this brilliant tool yet). 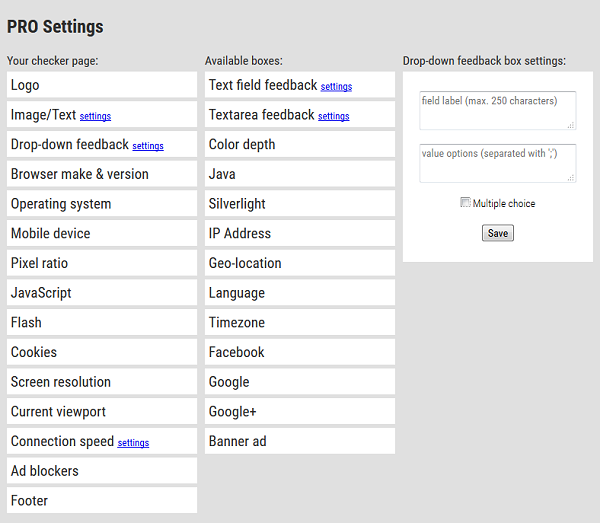 Yourbrowser.is is a unique online tool for easily checking browser features and capabilities. Imagine a scenario where you’ve created a website for a customer. Now while viewing the website, the customer faces an error and contacts you for help. In this situation you obviously need to know your customer’s browsing environment details like the browser make, version etc. But your customer is not an expert on the matter and doesn’t know how to find those details. That’s where Yourbrowser.is steps in. 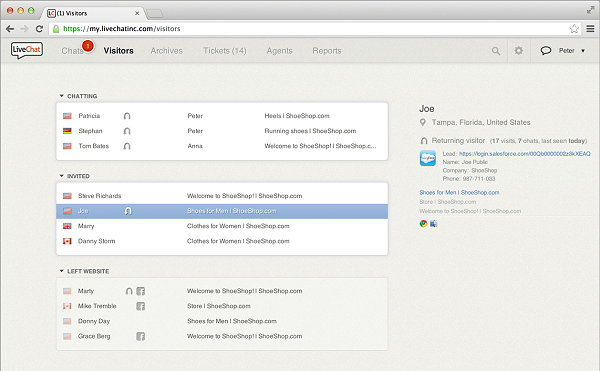 With Yourbrowser.is, you can create a customized page that can be sent to your customer. All your customer has to do is click on the link and voila; an email report will automatically be sent to you with all the details of your customer’s browsing environment. Is it cool or what! 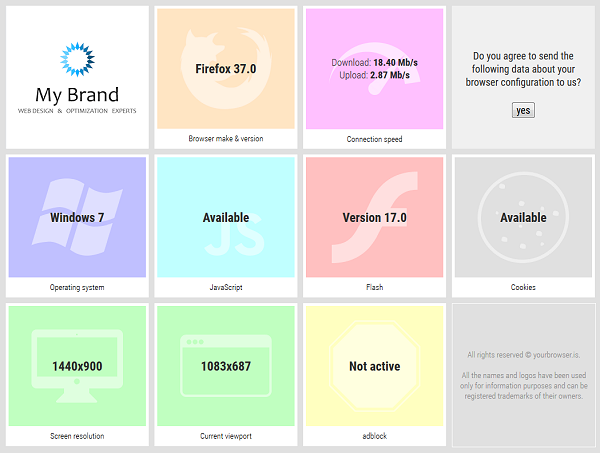 To have a preview of this tool’s vast capabilities, just visit Yourbrowser.is and you will see a grid of colorful boxes. What’s great about these boxes is the fact that each of them displays an aspect of your current browser – that is the browser on which you’ve opened the website. Check it out now! A PRO account allows users to collect feedback from their customers. Apart from these additional features, following legacy features from Yourbrowser.is will also be available with the PRO account, of course! Selecting & sorting detections: The PRO account will allow users to have more flexibility in terms of detections. Being able to select which detections they wish to apply and also the freedom to sort them by preference will help them to know even more than they could earlier about their customers’ browsing environment. Custom Content Boxes: With the PRO account, users will be able to include text and image boxes within their custom page to provide additional information or instructions to their users. Custom feedback-form boxes: Collecting customer feedback is also possible with the PRO account. With dedicated feedback-form boxes, the users can gather data from their customers and can do more to match their expectations. This will help them in understanding the problems at their customers’ end better than before. Hiding Ads: The ability to hide ads on the custom page displayed to a customer – for even better branding. All the above mentioned awesome features of the PRO account are offered at a very nominal price range. After all, the good things in life are free, but even better things come at a small price! When you weigh what the PRO account has to offer, paying a small fee would be the least of your botherations. Even after knowing about the wonderful additions the PRO account has to offer, if you’re still contemplating whether to go for it or not, you definitely don’t believe in making your life easier. Give yourself a break and the makers of this awesome tool some credit, go PRO today! Live Chat, A web application that enables your sales or customer support team to interact with your customers through the website. It offers better engagement to the visitors with your website. Live Chat has numerous functions integrated and using facebook to know who your customer is and the ability to know more about the viewer or customer through their facebook profile is one feature that any ecommerce company or business would need. Decreasing the customer service response time and increasing the customer satisfaction is what Live Chat does. A large number of people would love to get their queries solved immediately while browsing your website rather than waiting for customer service representatives to attend their call on phone. And on the other hand installing Live Chat would also cut down the cost for customer service. Live Chat increases customer trust and confidence in your brand and also increases the number of sales as there is someone to guide the customer through the whole process especially when a customer is confused a sales representative would help them in making a sale for your brand. Addressing customer’s frustrations is what usually huge brands invest in social media for but having Live Chat installed enables companies to save investments on social media as well and they can have large reductions in the negative publicity on the social networking websites such as facebook and twitter. Using Live Chat you can make sure all your promotions and discount coupons work in the desired manner and ensure that your customers are happy with your service. 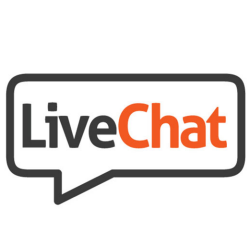 Live Chat Inc. offers same features to giant ecommerce brands as well as to those ecommerce platform which is run by some individual person so let it be a one man army or a full fledged mob of people working for your brand you’ll have access to similar features. Loaded with an easy to use bright and colourful interface which would suit any type of business and you have an option to customize the appearance of the chat window according to the colour scheme that matches your website or your company colours. Advanced users can edit the css and make changes to the widget. 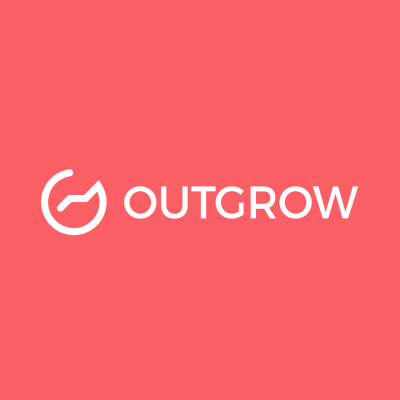 No credit card required for a signup and you just need to copy and paste a code to your website in order to integrate Live Chat. The ease of use is further accelerated by the clear and crisp instructions from the developers. Client End – Ability to add company’s logo and a picture of the operator who is responding to client or customer but this feature is optional. You can also add your social media accounts to the widget which informs the client/customer about your web presence. Agent / Operator End – Wonderfully clean interface and has a software available for Mac or Windows. You are able to set a specific time for the tool to go offline when there is no activity performed. Greetings, Canned Messages and Protocols – You can set greets and triggers for your customer and these can be customized in accordance with some specific rules. You can also set some phrases for quick response so that the customer wouldn’t have to wait for a long time. After installing certain code snippets you’ll be able to support multiple languages on the widget. Analytics And Tracking – It shows the basic information about your customer including country, IP address and current webpage. It also allows you to know more about the customer using the social media and social network integration. Integration And Support – Can be integrated with many applications such as Highrise , Salesforce, SugarCRM. It supports iPad, iPhone and Android devices. Team Support and Integrations – Allows chat support representatives to work in teams and transfer chats from one gent to the other. Supports Agent Groups and people can select which department they would like to contact for their queries. It also creates a log history of chat for future reference. Live Chat Customer Support – Helpful and easily reachable support and they give a quick response as well and answer all your queries related to the Live Chat widget. Ticket System – Offline Messages can be handled easily using this feature on your website. Whenever the agent team is offline the client or customer messages would directly go to this system and has three status open, pending, resolved depending on whether your query is answered or not. Reports and Stats – It shows a weekly report of all the live chat sessions and the quality of service your customers get through the customer service representative using the chat application. It also informs you about the missed chats and if your customers are satisfied with the response. It also informs you about the Queued visitors on your website who would like to chat and get their queries resolved and are waiting for an agent to respond this feature comes handy when you are thinking of expanding the live chat team. You should get in more operators when the number of people waiting for a chat goes up. 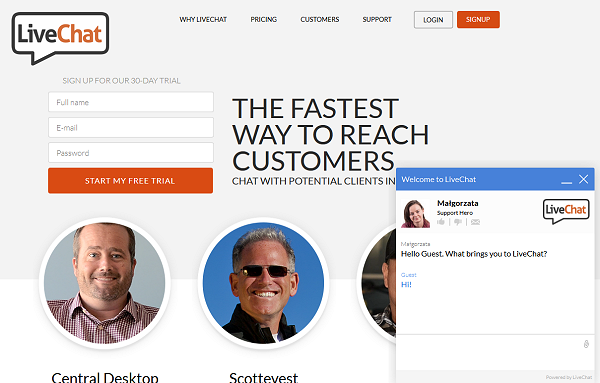 Live Chat Inc offers two different plans one for individuals and the other for team. The fee for solo plan is $36 per month and it includes unlimited chats, ticketing system enhanced security and reporting. The team plan is for $39 per month which includes all the solo plan features as well as chat routing and agent groups. They also offer a $59 per month enterprise plan which has some additional features such as credit card masking,multi brand customization, On demand reporting and work scheduler. Live Chat offers five different plans, starting at $19 per seat/month. And you can try out the service for free for 30 days. Live Chat support is always more convenient, you can offer competitive services, get instant feedback from customers and you can help more people at the same time. But there are some customers who wouldn’t like specially those who aren’t tech savvy. Also, chat support may not work well on all mobile platforms. Prank chats are also one of the problems people face when they install chat support systems on their business websites. Also, you should be careful as you would have to give a quick response to the customer or else he may get frustrated while using chat support unlike email or phone support systems. Do take care of these points when you install Live Chat Inc widget, It’ll surely help you making your business. Posted August 21st, 2014 in Communications. Tagged: chat support, chat widget, customer service, live chat, team support, ticket system.